IMPORTANT NOTE: THIS POST AND THE SUBSEQUENT LIST IS OUT OF DATE WITH JANUARY 21, 2013. Please read this newer post on the evolution of this directory or go directly to the succeeding OpenDeviceLab.com to look up a matching Open Device Lab in your area. 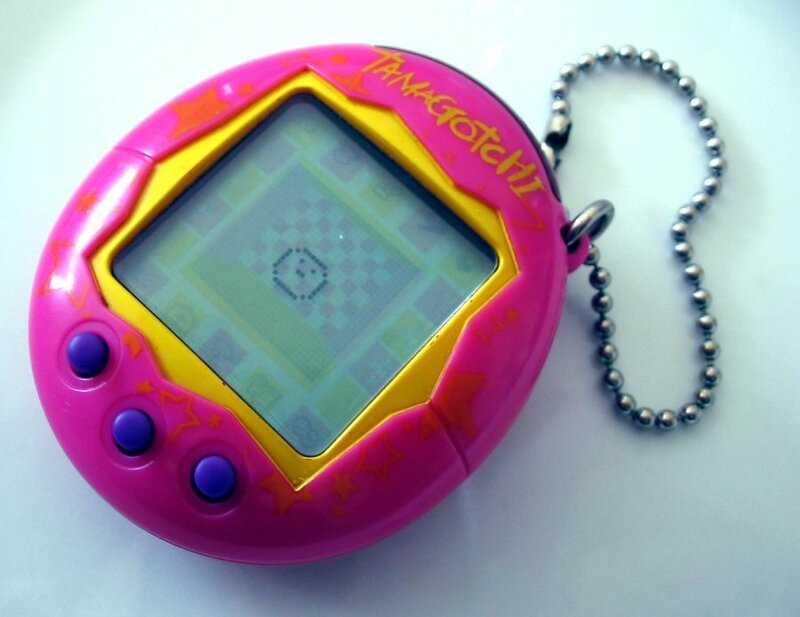 Do you remember Tamagotchis? They want your love, all day. Just like all these mobile devices, asking for power, updates and attention. Whether you take care for the web, develop multiplatform apps or hack other stuff for different mobile platforms, you quickly realize there is more devices to take care of than your personal ones (insert own tablet and smartphone brand/model here). Of course you need to test your stuff on much more than two or three real devices, we’re not going to discuss this here. I completely realize that not everybody is as stupid as me, owning and nurturing a growing list of currently 29 30 32 34 internet connected mobile devices. I use to refer to the necessary care with the term “looking after my Tamagotchis”. You remember Tamagotchis? You must be as old as me, haha! If you want to avoid the Tamagotchi-thing, there is a growing list of truly awesome people who have planted the seed for so called “Open Device Labs” around the globe (basically this is just another european invention, but I strongly assume other countries will follow – Update Sep 4, 2012: I just added the first US based lab to the list – Update Sep 11, 2012: Mobile Portland claims to have announced the first US one, but is not functional yet. Go guys!). So if you want to test on a broad range of devices, check out a device lab near to you – and don’t forget to contribute! ACHTUNG: DIESES VERZEICHNIS WIRD SEIT DEM 21. JANUAR 2013 NICHT MEHR AKTUALISIERT UND IST DEMNACH INAKTUELL. Bitte lese diesen Artikel über die Weiterentwicklung dieser Liste oder gehe direkt auf OpenDeviceLab.com um ein Open Device Lab in Deiner Nähe zu lokalisieren. There is no Open Device Lab in your city? Establish one! 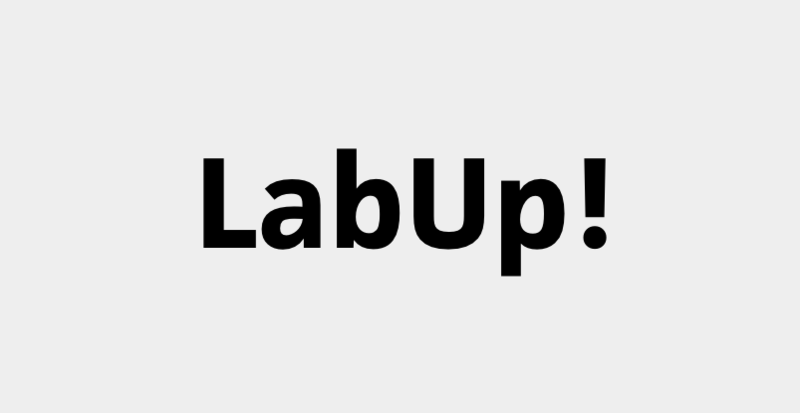 LabUp! is here to help! Read more on the project. There is now a list of people running Open Device Labs on Twitter: check out and subscribe here. Do you know about an Open Device Lab that is not listed here? Add a comment so I can update the list. Thanks! Back in March 2012 I sat down with the Adobe Shadow Adobe Edge Inspect development team on a nice monday evening in Adobes HQ in San Jose, California. Actually we launched Shadow Labs Release 1 together that night, the very first public release of a tool that soon should make a big impact to Web Devs around the globe. How in hell will I be permanently managing that illustruous farm of devices on my tiny desk? Five months after that day we’re using Shadow Labs Release 4 with numerous improvements (and the product isn’t even 1.0) and thousands of Web Pros around the globe foster a messy setting of numerous devices, cables and whatnot on their desktops – just like me. 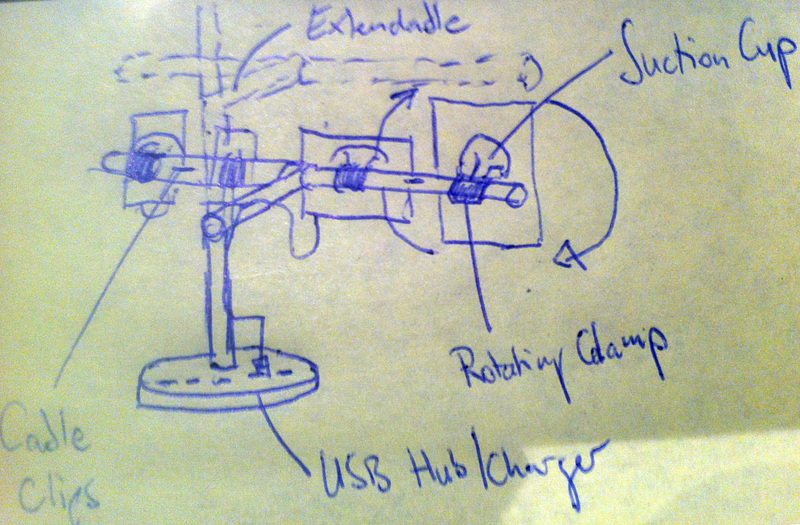 Quick drawing of my idea from March 2012. See article for explanations on the main parts of the device. Mobile web testing and debugging became highly relevant to every webworker on our planet. I would estimate at least half a million potential customers for the proposed solution out there. I am filing this post in the category “Awesomness” since I clearly expect a manufacturer to come up with an awesome solution right away. Go guys, ship it. And let me know where I can get one.